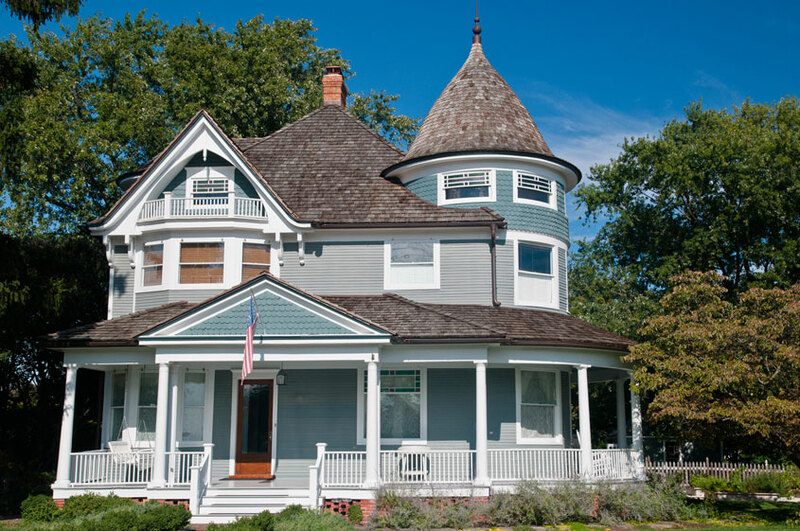 Ornamental and visually stunning, the Victorian style home came into popularity in the late 1800s. 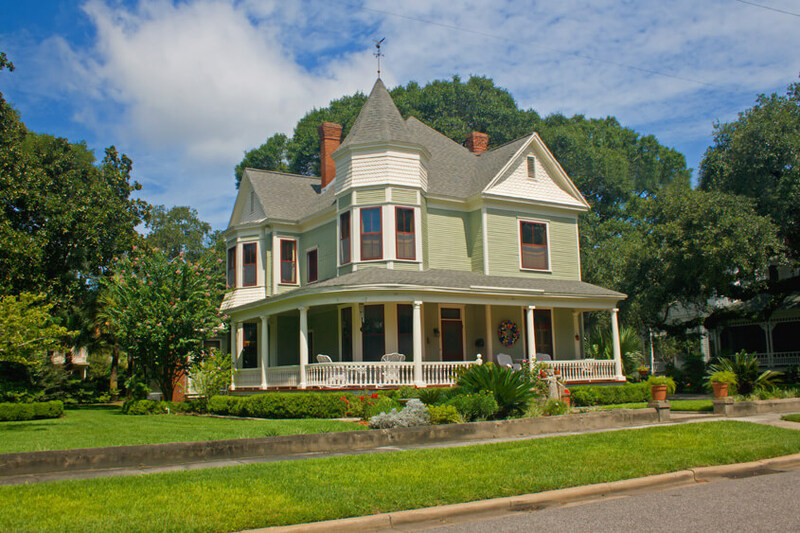 Victorian style houses tend to be large and irregular, featuring rounded towers, turrets, steeply pitched and complex roof lines, and a multitude of bays and roof elements at varying heights. Multiple porches or balconies provide quiet places to sit quietly or visit with the neighbors. Every opportunity to add decoration is taken, with turned posts and spindles dressing the porches and elaborate brackets and bargeboards under the eaves. Many small touches add to the overall spectacle, often using brackets, intricate moldings and patterned shingles. Finally, owners often chose vibrant and exuberant colors (and combinations thereof) to accentuate their homes. Not for the reserved or shy of personality, Victorian homes are always attention getting and distinct.